Rin Okumura is a teenager with a natural gift to get himself in trouble. 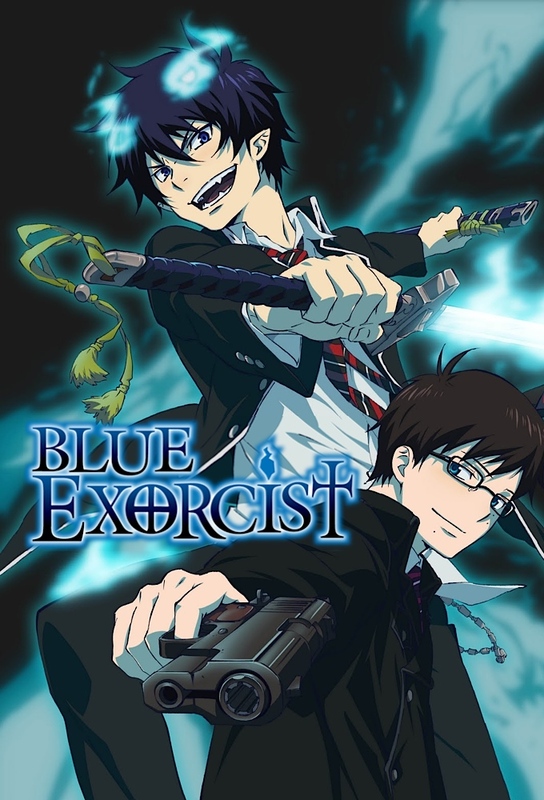 Despite that he tries his best to meet the expectations of his twin brother Yukio and Priest Shiro Fujimoto, who acts as their guardian, until he finally learns about the dark secret behind his origin. As part of his training to become an Exorcist, Rin gets himself enrolled at the True Cross Academy. On his first day of classes, Rin becomes shocked to know that his twin brother Yukio is already an Exorcist and will be one of his teachers. Yukio sets out to the schools Exorcist-only shop to stock on some supplies along with Rin. There they find that the owners daughter, Shiemi Moriyama, is being afflicted by a demon that dwells in her familys garden and, to save her life, they confront it by themselves. Having Shiemi as a new classmate, Rins total disregard for classes brings forth the anger of another classmate of his, Ryuji Suguro, aka Bon. After learning of Bons story, Rin finds that they have more in common than he would like to admit. Rin and Yukio find that the responsible for their meals at the dormitory was Ukoback, a cooking familiar appointed by Mephisto Pheles to aid them. They also learn how Ukoback can be troublesome when he gets angry. The first semester has ended, signaling the start of summer vacation for True Cross Academy students. But there’s no rest in sight for Rin and the other Esquires: first they must take part in a 3-day drill to prepare them for actual combat, under the guise of a camping trip out in the forest. Ernsts plan to destroy Gehenna backfires when Satan reveals to Yukio the truth behind his and his brothers origin before taking posession of his body.